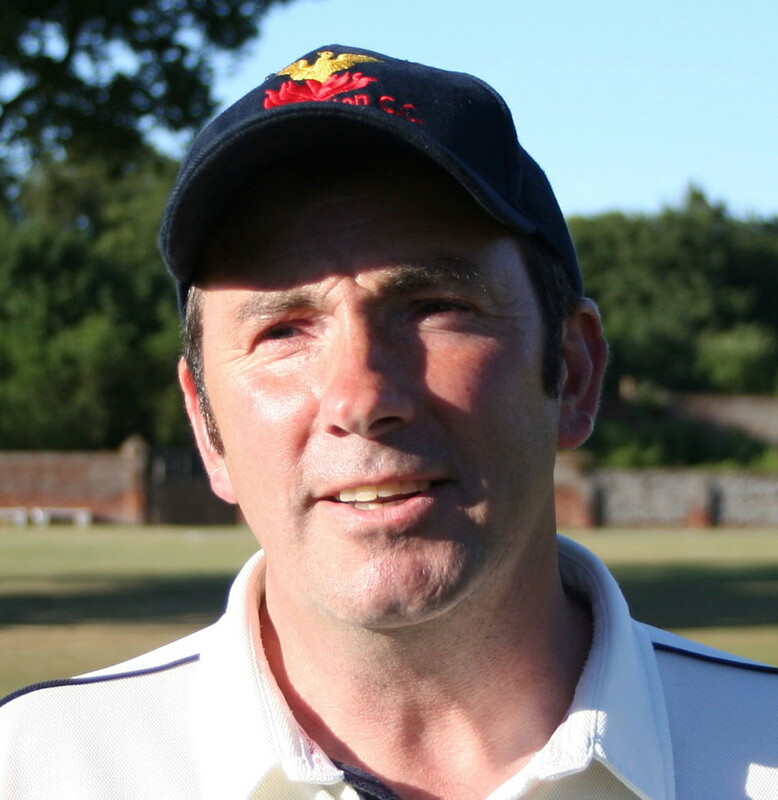 A big-hearted player, good clubman and great for club spirit, Gazza’s Northern wit is invaluable on tour and in organising fines and, despite a health scare in 2010, ‘pit pony’ was still chugging along until last season when re-current knee problems meant an enforced ‘rest’ from cricket. Batsmen who have the temerity to strike Gazza back over his head for four are likely to have their efforts acknowledged in plain Anglo Saxon. Coulson’s caustic comments have upset the opposition and sometimes his own team-mates in the past and the man known as ‘Pony’ or ‘Slug Balancer’ or ‘Sluggy’ certainly has no time for Southern ‘softies’. He’s famous for his taste in clothes. Checks, stripes, loud colours, ridiculous shorts, Gazza’s worn them all – usually at the same time. He joined the club in 1997 from Rocklands and, by the end of 2016, has climbed to 16th in the club’s overall appearance list, having played 351 matches and taken 404 wickets at a respectable average of 22.06. It makes him the 7th highest wicket-taker in the history of the club. He was First Team Player of the Year in 1998 and in 2002 but the old pony showed he wasn’t ready for the knackers’ yard by dropping down, first to the As and then, the Bs with considerable success. While his bowling lacks the penetration it once had, Gazza gives batsmen very little to hit, proving as economical on the field as he is in the bar. Melton’s Mr Consistency helped the A Team to championship success in 2003, 2006 and 2008 and he won the A Team Player of the Year trophy in 2004, 2005, 2007 and 2008. Still looked upon as ‘Mr Reliable’ he found himself bowling 98 overs, the most by anyone in 2015’s struggling A Team and that workload probably contributed to his injury-affected 2016. Gazza can slog with the best of tailenders and has contributed some valuable runs, including a highest score of 45. In the winter he can often be found on a touchline supporting his hockey-playing daughter, Hannah.